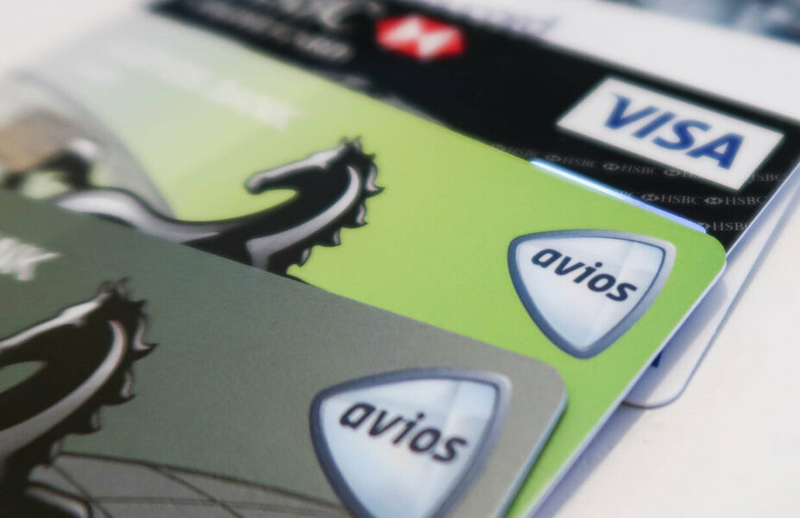 Lloyds Bank announced last week that its existing ‘two pack’ Lloyds Duo Avios and Lloyds Avios Rewards cards are being closed. You can read about that here and here. Lloyds is also closing the Lloyds Choice Rewards credit card. This was an interesting hybrid card. It was a half-hearted attempt to create a card along the lines of American Express Membership Rewards. You earn points on your spending which could be transferred to Avios BUT could also be used for High Street shopping vouchers and a range of other rewards. The earning rate if you transferred to Avios was poor, however, which is why very few Head for Points readers took one out. It is no surprise that the card is closing because it was another ‘two pack’ product which included an American Express element. What IS a surprise is that Lloyds Choice Rewards cardholders are being moved to the Lloyds Avios Rewards credit card. This seems odd to me. If Lloyds Choice Rewards cardholders were serious about earning Avios, they would have taken out a Lloyds Avios Rewards card in the first place! If I were Lloyds I would have moved them to a generic card with no rewards, or at least given them the option. What will happen now is that a lot of people who have no interest in Avios will start earning them, with many of the points presumably doomed to expire unused. If you have a Choice Rewards card, you have four months from the day you receive your letter from Lloyds to spend your points balance. Any unused points will be foreited in return for a cash payment. You can find out more on the Lloyds website here. Yesterday I wrote about my exciting night out with Dani Dyer from Love Island at the Virgin / Delta “The Joint Venture” pub launch at 33 New Oxford Street. It turns out that, in my excitement, I missed out on the following key bit of information. Business Traveller, who clearly drank less trappist ale than me, found or were given a discount voucher for £50 off any Delta or Virgin Atlantic flight booked on the Virgin website here. You need to use promo code jvpub when booking. I have no idea what the rules are or when the closing date is, but as the pub is open until 19th August you should be OK until then. It does seem to work ok on Economy flights as well as pricier ones. You can find out more about the pub here. 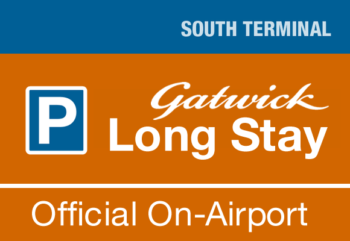 Finally, I thought I’d give this deal from Official Gatwick Parking another mention as it has proved hugely popular with readers. Via this link (click) you save 15% on the official long-stay car park for entry dates up to 1st September. Belmond hotel group puts itself up for sale - will IHG strike now? Me too, even though I ‘redeemed’ mine a couple of weeks ago. Except it wasn’t redeemed. Cork didn’t do it properly – the clue was a 1-night points reservation in my account instead of the 7-night one it should have been. Numerous messages to and fro. It’s all right now, and I am 2,000 bonus points richer. With just a week to go before the big day, I’d say act quickly if you were thinking of redeeming at current rates, just in case of a problem. Got the email too despite already having redeemed the cert. Yes, and my Marriott M’card bill arrived this morning, though it normally bills on the 10th of the month. This one billed last Monday. I was wondering if Marriott had asked Creation to bill earlier than usual as part of their points merging activities. It seems to me they are allowing some to convert old cat to new for the TP. Gambling on the 1-5 cert and 120k miles might not be such a great idea if you end up with cat 1-4 cert after mapping. I’ve read on OMAAT of other folks receiving the same notification. No such email for me. As you say looks like a one month hiatus before redeeming, I’m hoping they’ll extend validity due to that. I’m looking to book an SPG property so can’t book until the programmes merge anyway. No email here either. My partner and I are still holding onto our certificate. My conclusion remains the same as it always was, cat 1-5 becomes cat 1-4 so no loss, and everybody with 6 and above gets lucky with a ceruficate that means we don’t lose out. For those who bought a cat 1-5 with a view to upgrading – tough luck, we still get what we paid for and we can still upgrade it now or after 18th according to our preferences. I suppose there is still an outside chance the cerificates could be voided for points but if so then why wait a month? Biggest downside i see is disappearing availability during the month we have to hold existing certificates. Not for ex SPG hotels. No joy, but the gatemen, always ask my oh to pay cash and he can go in, despite having the Amex priority. A complete con. I then phone up amex and they credit the payment. A real annoyance. OT: I’ve just established a Ltd Co. Any tips people are willing to share with regard a means to accumulate points? It’s somewhat of a niche question but figure there must be a few here who have experience. I closed my company in 2013 and only managed to get a few points on a NatWest business card. My advice, which many will disagree with, is to keep your money and the company’s completely separate. It is a different legal entity from you; not like being self-employed. For what it is worth, I agree on the separation front. It is after all the companies money and not mine. I could have been clearer but I was thinking along the lines of dedicated business accounts, credit cards etc. I’m seeking efficiencies that my excellent, but non-collecting, account won’t consider in the course on their day to day profession. Business credit cards are a different matter from business bank a/cs. Business credit cards are a complete rip-off. The cost to your suppliers of accepting them is much higher than for a personal credit card – look at what HMRC charge to accept a business credit card and compare that with what they used to charge personal cards – and there never seem to be any perks for all the money that is taken, at least for Visa/M’card. You can always dedicate a specific personal card to your business use, and then always pay that card off from your business bank a/c. BAPP and SPG Amex cards have unlimited supps and can always get a free Gold on a Plat acct etc for Ltd Co use. That way Ltd Co transactions show up separately to personal transactions making being reimbursed easier to manage. At each reporting period, just make sure to pay down the balance. IMHO, it always makes sense to have a separate business bank a/c – it makes life very much simpler. I have 4 Ltd companies. Each company one buys, renovates then rents out property. Each company makes multiple purchases every year renovating and maintaining the properties. I make the purchases on my own credit cards then the Ltd companies reimburse me via bank transfer. This is because I’ve not yet found a business card that generates as many points as a personal card. Just remember to be on top of keeping your invoices and filing them correctly. I try to put as much as I can on mine and my wife’s BAPP as they get 1.5 avios per £ plus you get the bonus of a companion voucher each every year. Remember you can link an AMEX card to paypal. Any supplier or tradesman that doesn’t take Amex I use HSBC World Elite MasterCard which gets 1 avios per £. I’m currently tempted to maybe also get the Virgin Atlantic Reward+ Mastercard which would mean 1.5 miles per £. We however tend to nearly always fly BA or One World Alliance as we generate so many avios and prefer 1st to Upper. I do this too with not insignificant amounts and then claim the expenses from various Ltd companies but my accountant keeps trying to advise me against this. He says that HMRC could argue that you I am actually self employed as opposed to Ltd as I pay for everything personally first and the claim back from Ltd. To be fair to him, I have asked him to take a robust approach in protecting me. I’ve always told my accountant proceeding in this way, especially if there are logistical reasons to (such as a card not functioning with bus acct etc.) is exactly the same as any employee paying expenses out of their own pocket by any means they choose, then having to fill out an expense form to be reimbursed by the company. So far no problems. Can anyone see any flaws with that? Lady London – Makes sense to me. But I think it will depend if the expense is 9% of turnover or 99%. Essentially the Ltd Co is acting as a Special Purpose Vehicle. It has the benefit of limiting the owners liability in case of an uninsured claim against the owner, it allows the property to be disposed of either as a property sale or company sale (attracting stamp duty as opposed to SDLT), avoidance of suplimentay SDLT for seconds homes if it’s a residential property, and finally the ability to make Morgage I treat fully deductible. I’m no accountant but I think that sums it up. Thank you. Really helpful. Much appreciated. I do the same. I used to lump in as one but now have separate personal cards for Business use for each Ltd And then simply attach the Statements and Receipts for the Purchases at the end of each month and claim the money back. Never had an issue in 10 years. Though we have a few staff so no self-employed risk. I like the IHG Black for Spire (or rather more like Status Matches) and also the Virgin Card. Amex is a BA and Starwood depending on the company and then a Plat for personal and referrals. Revolut is good for transfers and then Curve for HMRC rounds it out. I use Curve linked to IHG abroad for Business and a Nationwide Flex CC for Personal / S75 purchases. And a Nationwide FlexPlus for Cash. “avoidance of supplementary SDLT for seconds homes if it’s a residential property” I thought this was payable upon purchase by an individual or Ltd in the property was in use, or it’s last use was, as a dwelling? You can be self employed and still employ people. Like Rob does with HfP I believe. Correct. Although there are legal risks that come with that if you don’t have deep pockets in case of any legal or insurance claims by an employee, but in my case are mitigated. Yep – @Ben – that was very helpful. @Genghis – indeed – I am self-employed but have one part-time employee, she works on a casual basis but I have to get payroll & HMRC correct. OT – Have never really looked into the HSBC premier card before as i’d never have been eligible but we’ve just sold our house and released some equity which I think means I could stick £50k in a HSBC savings account and thus become eligible for a HSBC Premier card. Can anyone clarify on what the process would be i.e. do I need to open a savings account first, deposit the 50k and then apply for a premier card? Any help / advise appreciated. Thanks! Just book an appointment to open the account, they’ll run through eligibility pretty early on in that meeting. Its very straightforward – just “play the game”. You dont need to go into branch, they can do the interview on the phone. Cash on deposit counts as investment. Just make out when they call you will make some more robust investment decisions once you are eligible for the premier products which attract extra interest. They will also offer you the card at the application stage, so opening the premier account does result in a credit check. Be ready to accept the card when offered. They give you 3 months to transfer the cash into the account too. Could somebody spell out in more detail the terms of the £50 off Virgin discount ?Thanks. It is probably on your till receipt if you visit the pub! Does it really take 3-5 days for Amex to send BA your details for your 241 companion voucher to be available in your BEAC account? Can even take a lot longer. I’ve had a couple of days to a couple of weeks. Following on from yesterday; all transactions with Curve since 25th July have posted to he underlying card. Annoyingly, so have twelve £1.00 authorisations and a juicy transaction to VWFinance which was originally declined! My 3 missing transactions posted today as well. OT – how long do points from Marriott stays take to post? I stayed last Friday night points have not posted, nor have my eligible nights updated. Was a cash booking and my Rewards number was definitely on there. My last IHG stay (mid July) posted far quicker than previously. Checked out on Sunday and on Tuesday the points had posted, wrapped up together with the three separate Accelerate targets triggered by the stay. The Accelerate Bonus posted at the same time, but as a separate posting. The posting were actually dated 16/07, checkout was 15/07. But yes, it used to take around a week for IHG points to post. Hmmm…. will give it another few days then chase up. OT trying to add virgin number to Amex rewards isnt working to i need to do anything to the number, to make it work? It should work fine. Nothing special to link accounts. Just to check it is the new style number (well when they changed about 2 years ago). I had the same problem a week or so ago. Not really a problem for me as I have never flown VS and have just 2 Flying Club miles. But I could actually make use of 5000 miles from a free Virgin Money M’card if I then added 5000 Amex MR points to get 10 000 Virgin miles = 15 000 Hilton points. Shame I booked a delta flight the other night. It was over £300 cheaper via Delta website than it was directly on Virgin website for the same flights. The chat popped up so I asked and their reply was 3rd parties can sell the seats for whatever they like, even when the 3rd party is a 49% owner!! Hey Rob not sure why the link to Virgin site you provide above seems to come via a RAK route? not sure if it’s possible or advisable to adjust…? Odd. Will check it later. Was fine. OT – Can I use Clubcard vouchers for Uber Credit and use it overseas? Not used Uber before and just wondering if it is worth signing up before a holiday next week. Can’t use UK credit outside UK. The app works worldwide wherever Uber is based….make sure the credit card is a 0% FX card linked to Uber if you are gonna use. I did a self referral on hubby’s Plat card for SPG 2 days ago – no decision yet! Off topic but was in LGW clubhouse last week and got 30k sign up bonus (no min spend) on the black card.